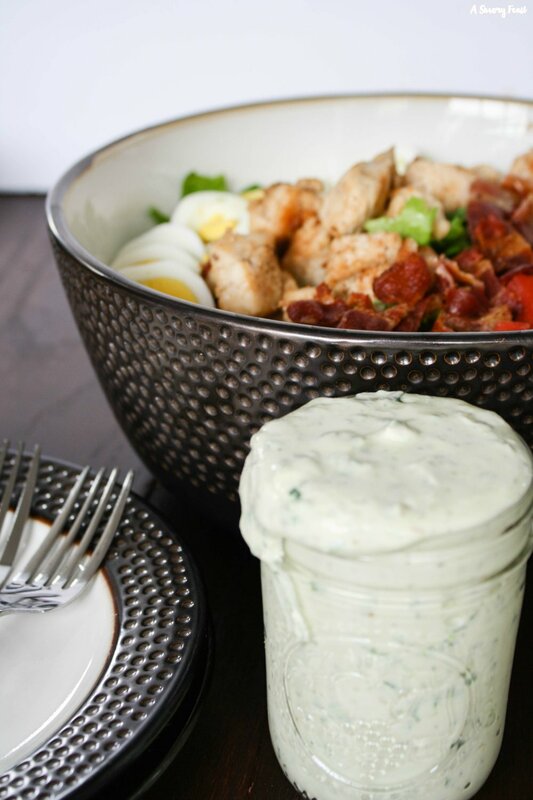 Last week I shared a recipe for Avocado Ranch Salad Dressing, and now I want to show you a great way to use it! When we do salad for dinner, we like to make it a full meal by adding lots of filling ingredients. I rarely make salads on the side, but instead do something like this that includes lots of protein, veggies and other nutritious ingredients. 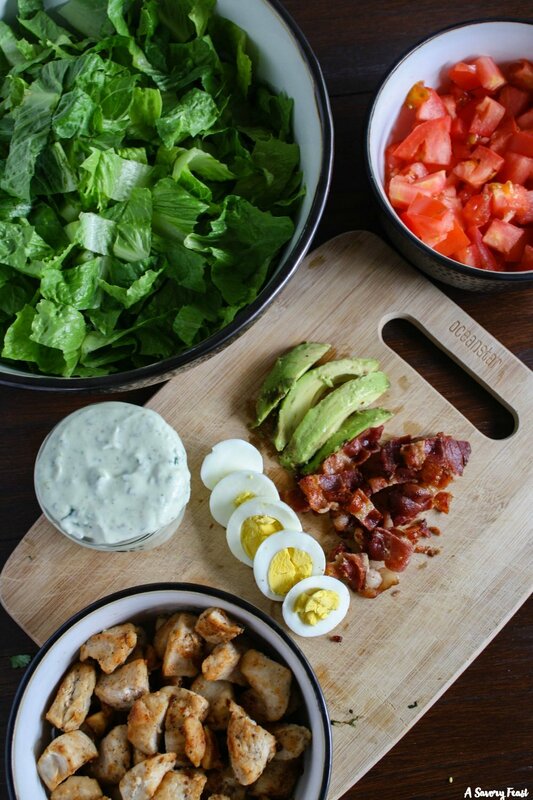 This salad is topped with some of my favorite things: chicken, bacon, hard-boiled eggs, tomatoes and that delicious avocado dressing! Hard-boiled eggs are something I ALWAYS make for our salads! I just love the taste and texture that they add. The Avocado Ranch Salad Dressing is so simple to make. If you haven’t tried making your own dressings before, this is a great place to start! 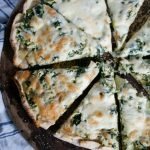 It’s made with greek yogurt, avocado, fresh squeezed lime juice and a few spices. 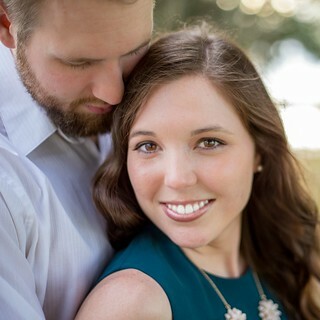 You can mix it up in minutes! 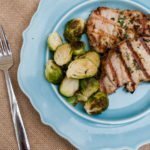 For the chicken, you can use leftover chicken or cut up a rotisserie chicken. 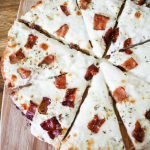 You could also do what I did first cook the bacon in a skillet, then cut up raw boneless chicken into small pieces and cook in the bacon grease. So much flavor! Get the recipe for the Homemade Avocado Dressing here! 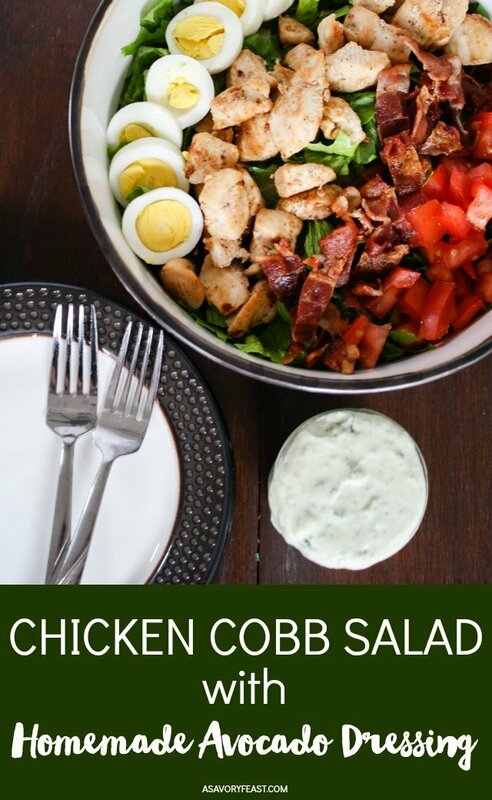 Make it a salad-for-dinner night with this filling and flavorful Chicken Cobb Salad with Homemade Avocado Dressing! 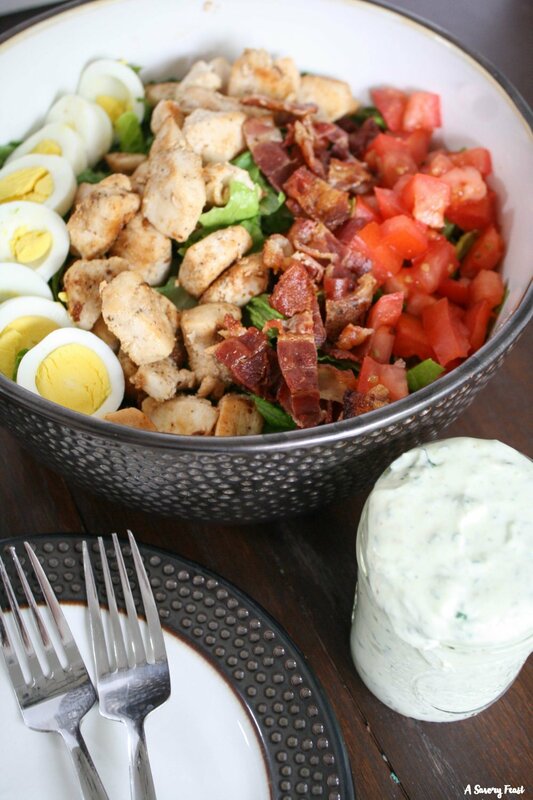 A bed of romaine lettuce topped with chicken, bacon, hard boiled eggs, tomatoes and a homemade avocado dressing. 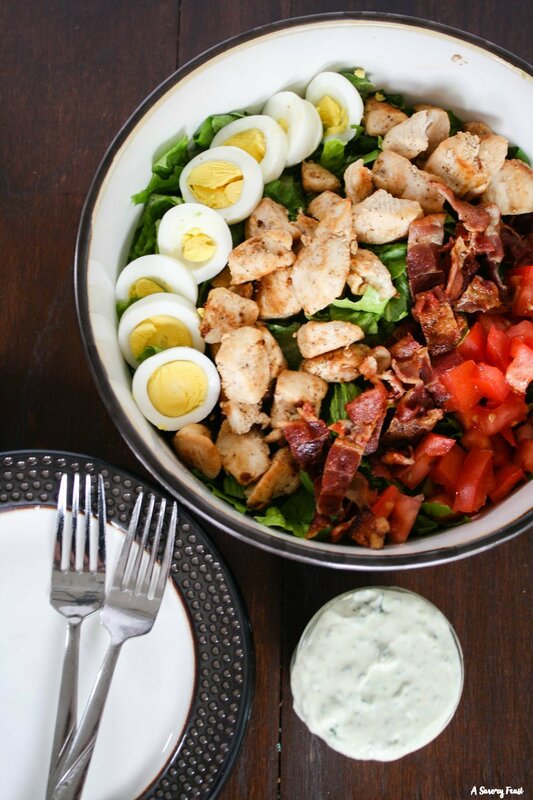 Place the lettuce, chicken, bacon, tomato and eggs in a salad bowl and toss to combine. 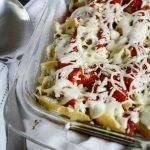 Drizzle with Avocado Ranch Salad Dressing and serve. For the chicken: Leftover, rotisserie, grilled, etc all work great! I cooked my bacon in a skillet first, and then cut the raw chicken into cubes and sautéed it in the bacon grease.